The easiest way to make more money is simple... get the price right. It's also the fastest way of transforming your profits. If you put your prices up by 10% the impact is immediate. The firms I work with are getting some incredible results from changing the way they price. For example, in this book I'll share with you Phil's story of how he increased his fees from £250,000 to £400,000 in less than a year just by changing one thing. A lack of knowledge and systems of how to price in the most profitable way. None of these problems will be an obstacle to you once you've read this book. I'll explain the difference between price sensitivity and value sensitivity. I'll share with you the 1% effect. And I'll share with you a 7-step formula you can apply to every pricing engagement. Accountants like Phil didn't let these obstacles get in his way and he's now getting incredible results. As you'll see when you read this book, the evidence is clear: The market does not set prices; firms do. In other words, prices are a choice made by practitioners. Some firms are much better at making pricing choices than others. The way firms make those pricing choices has a fundamental impact on their profitability and success. By studying how the most successful firms price other practices can transform their results. Time and time again we see firms that fully understand value pricing (and that doesn't mean simply giving a fixed price in advance of doing the work) get superior results. There are many great books on pricing theory. 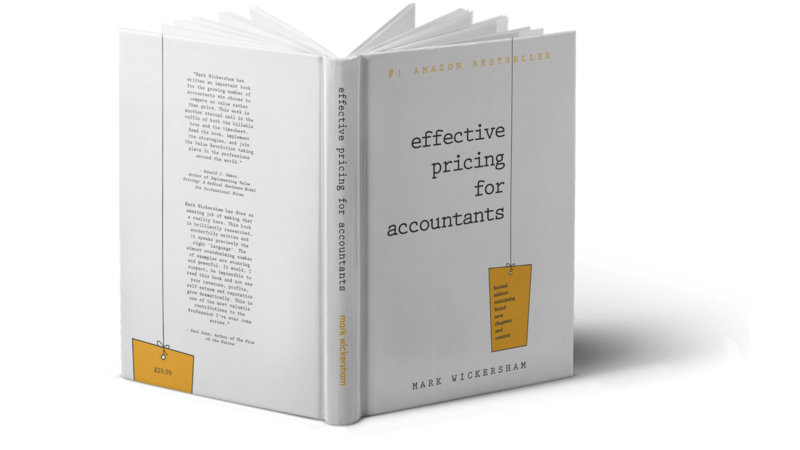 What I wanted to do in this book is focus on making everything relevant to accountants and as practical as possible. I wanted to make it as easy as possible for you to take the ideas and do something with them. Save £5 on the Amazon price and get a digital copy as a bonus for your Kindle. Click on this option if you want me to deliver your book to an address outside the UK.